Chris returns to America during the fall of Saigon. Three years later, waiting for Chris to return, Kim refuses Thuy's renewed offer of marriage and introduces him to Tam, her son with Chris. 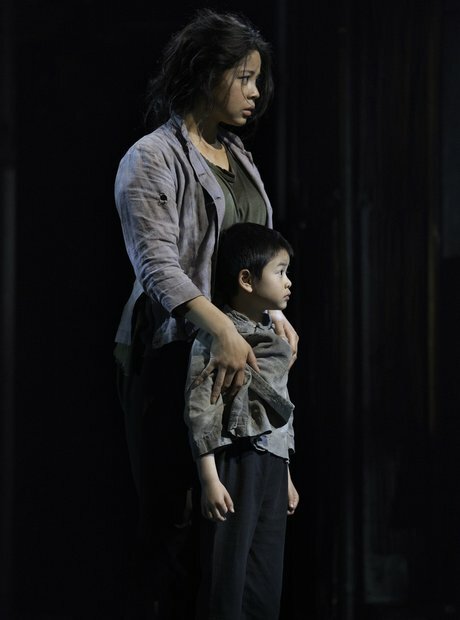 Eva Noblezada is pictured with William Tao as Tam in the 2014 London production. Photo: Michael Le Poer Trench/Cameron Mackintosh.